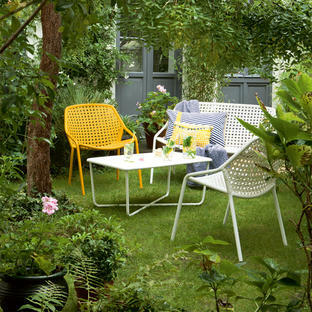 The large Balad outdoor light by Fermob is a stylish, functional and practical garden light. 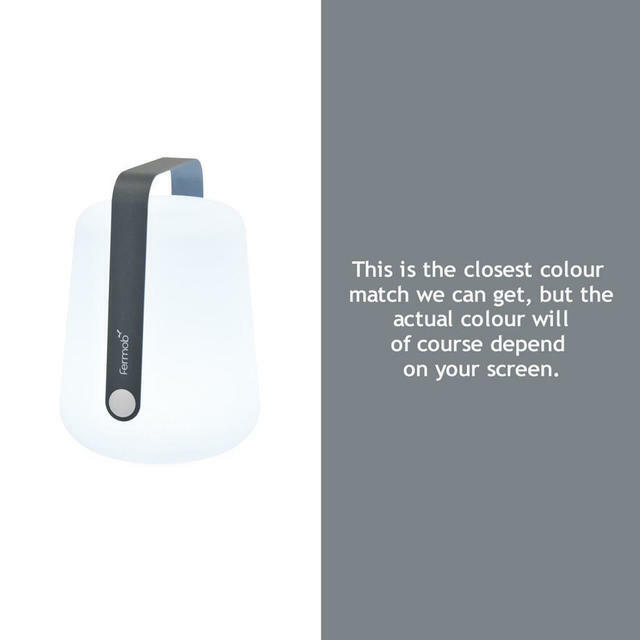 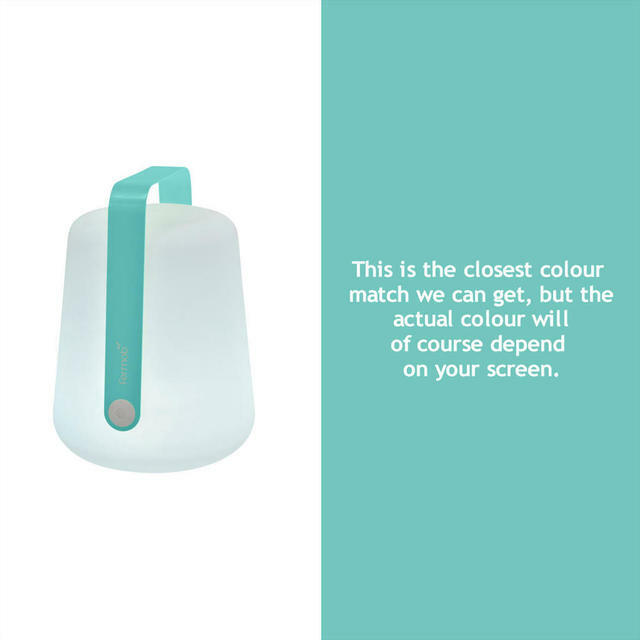 The light is a wireless rechargable LED, with 3 levels of brightness from soft to bright and flicker, the LED will give you between 7 to 12 hours of light before needing to be recharged. 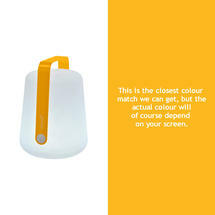 The switch for the light is easily accessible and, rather cleverly, built into the handle on the the side. 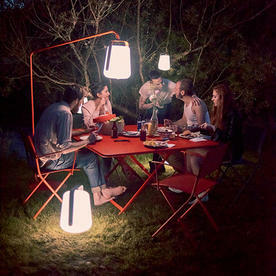 The lamp can be either stood on a table or the ground or if preferred hung from a tree or shrub. Also available as an additional option is the large Balad lamp stand. The lights are suitable for use outdoors. 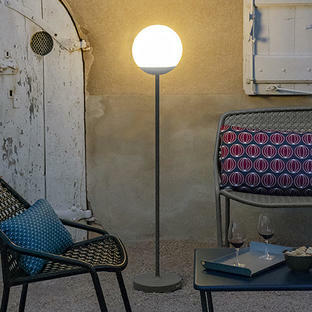 Smaller Medium Balad Table lamps is also available in the Balad collection. 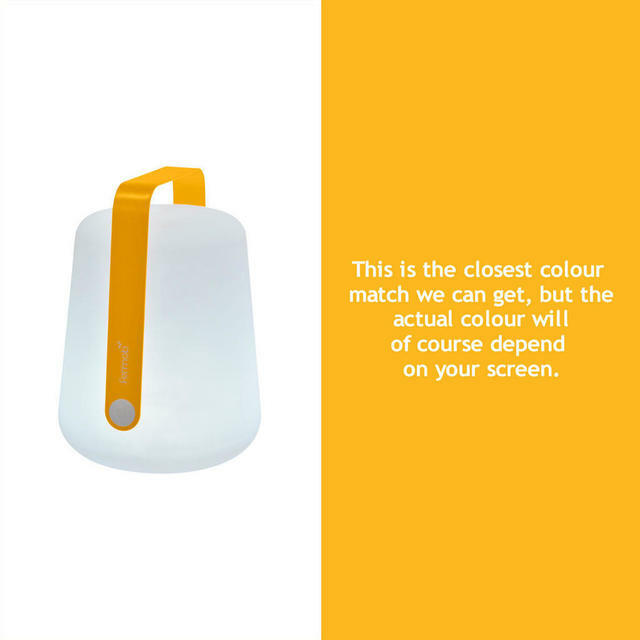 These Balad lights are also available in Limited Edition Gold, see here to purchase. 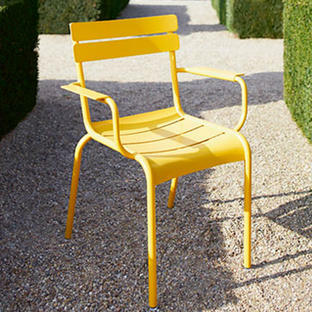 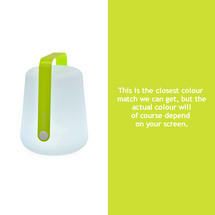 Available in 6 Fermob colours. 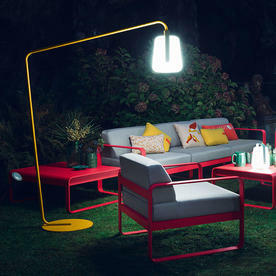 As seen in the image the Luxembourg Collection looks great surrounded by the Balad Lamps. 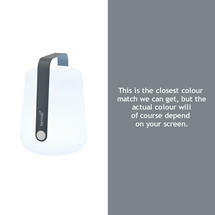 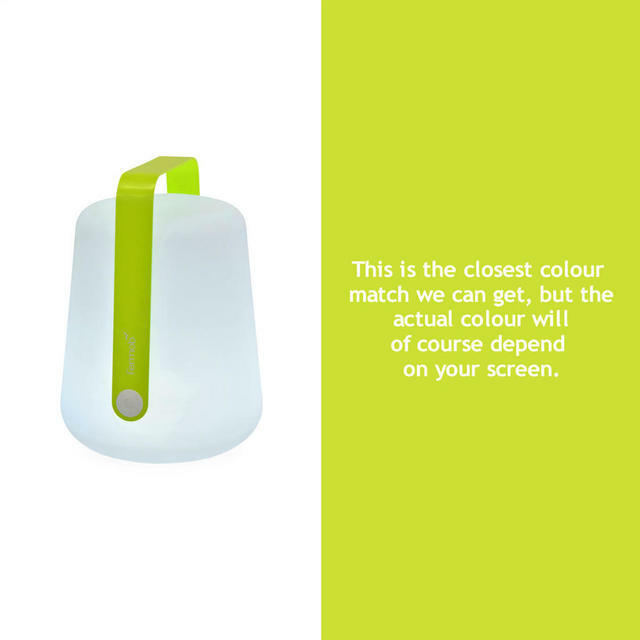 The light is a wireless rechargable LED, with 2 levels of brightness from soft to bright. 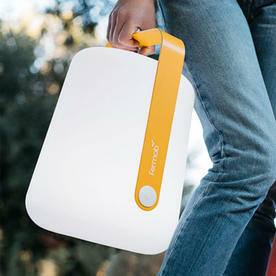 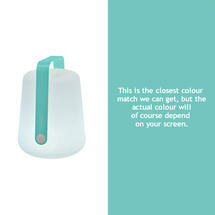 The LED will give you between 7 to 12 hours of light before needing to be recharged. 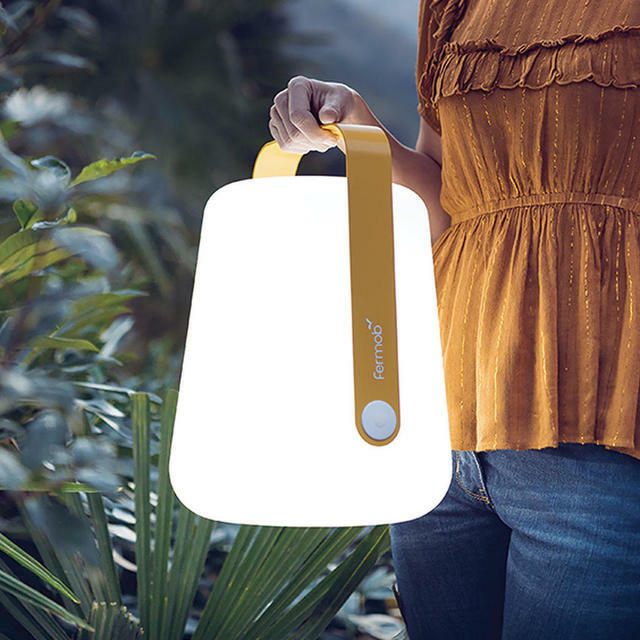 Fermob Balad lights are easy to care for, simply wash dirt off with mild soap and water with a damp cloth.